At the Husum Wind fair, SKYLOTEC will present diverse fall-arrest solutions for the wind energy sector. The German manufacturer develops and produces complete solutions from harnesses and descend/rescue devices to rescue stretchers. At the international trade fair, the family business will also present a new cable runner for permanently installed fall-arrest systems, which is easy to operate and thus reduces the risk of accidents. Personnel who work on wind turbines cannot operate without reliable fall-arrest systems. For example, when they ascend to perform servicing or maintenance work, they often use permanently installed fall-arrest devices. For this sector, SKYLOTEC will present a new runner for vertical access to cable ropes with a diameter of 8 mm. 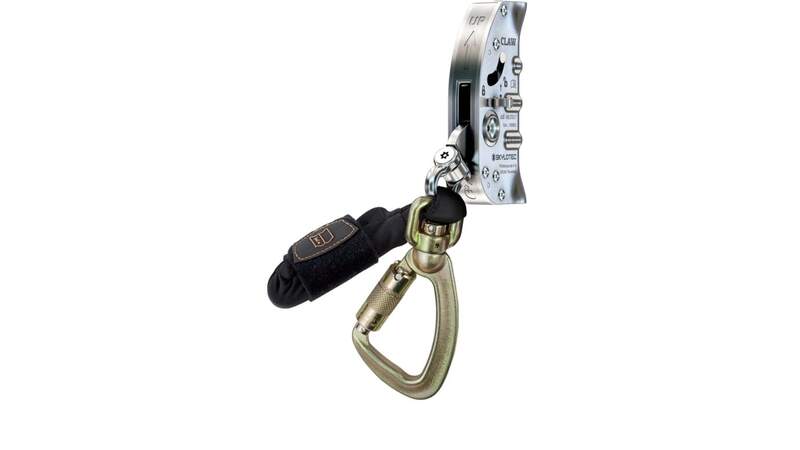 The "Claw" is a guided fall arrester that can be carried by climbers as part of their personal fall protection equipment (PFPE) in order to connect their body harness to the site's permanently installed fall-arrest systems. During the development of this new solution, the fall protection specialists from Neuwied placed great emphasis on easy operation and minimising the risk of incorrect use — because, in most cases, the cause of an accident is not equipment failure. Rather, it is due to incorrect use of the PFPE. In the past, accidents have occurred with the use of fall-arrest runners, often as the result of handling errors. In terms of safety, the "Claw" impresses thanks to a number of well-thought-out features. For example, the fall arrestor cannot be mounted on the rope if it is being held upside down by the user. This is prevented by an integrated locking bolt, and in addition a skull icon clearly indicates the application error. Moreover, the user can only remove the runner from the cable by actively pulling a locking pin to release it. Unintentional or rash removal of the “Claw” is thus not possible. During climbing upwards or downwards, the brake shoe opens when the user slightly pulls the carabiner. This enables a smooth and therefore fatigue-free climbing at heights or in lower-lying areas. However, in the event that the climber should slip or fall, the carabiner pivots downwards in a flash and the “Claw” blocks immediately. The built-in shock absorber pack reduces the impact force, and thus the forces acting on the human body, far below the 6 kN permitted. In addition to this innovative product, SKYLOTEC will also bring descenders and rescue devices to Husum. After all, workers must also be able to get themselves or their colleagues to safety quickly in an emergency. "Milan" has established itself as a standard device for rescuing injured people or for the rapid evacuation of several people. It can be stored in a sealed box on site so that it is close at hand in an emergency. The "Seal Pac" has an operating time of ten years and makes it easy to carry out the compulsory annual check. With the "Double Seal Pac", SKYLOTEC has also responded to the trend for more and more people working simultaneously on increasingly large-scale wind turbines. This pack ensures that two rescue devices are available at the same time from a sealed box. In some situations, however, it can be essential for workers to be able to rescue themselves without any help, for example in the event of a fire in the hub of a wind turbine. 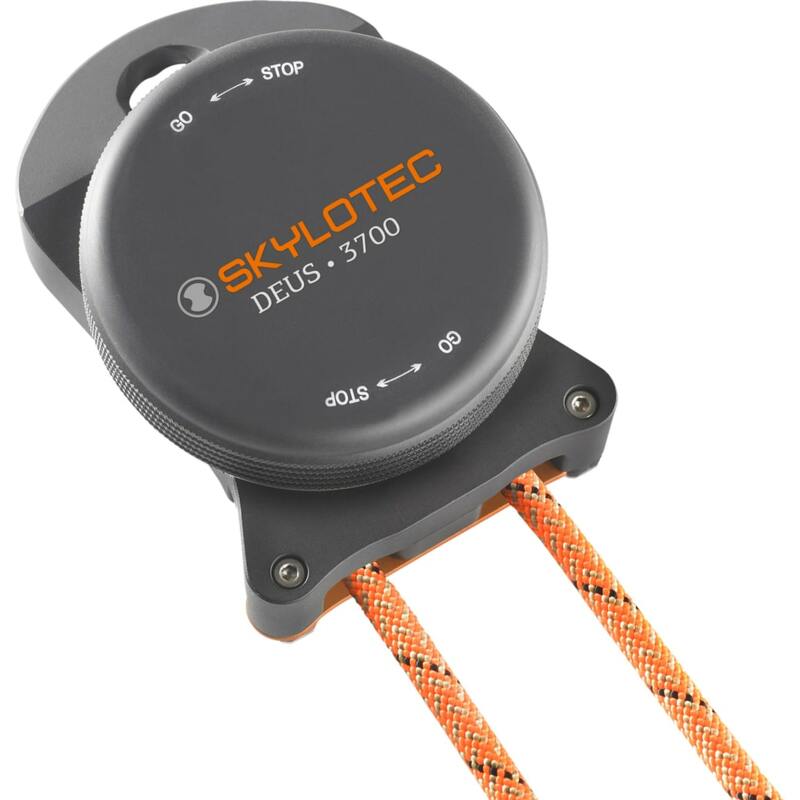 Therefore, SKYLOTEC will also introduce small, lightweight rescue devices with a centrifugal brake, which can be worn on the body along with PFPE and used directly in an emergency. For example, an optimal solution is provided by the DEUS 3700, which can be used at heights of up to 180 metres with a maximum load of 140 kilograms. Finally, new carrier systems for transporting injured persons will round off the company's portfolio for this sector. Solutions such as a roll-up carrier system called the "ultraRoll stretcher" are particularly suitable for rescuing people from areas that are difficult to access. They use stabilising elements to protect the accident victim from further injury and also offer additional benefits, such as low weight and a small storage size, making them easy to transport. The stretcher can be quickly assembled on site in just a few steps. In addition, SKYLOTEC will present PFPE with an optimal fit and easy handling at its exhibition stand. This includes the "Ignite Proton Wind" from the Ignite Series of harnesses, which is certified according to EN 361 and EN 358 and sets new standards with its many clever details in terms of ergonomics and design, as well as the "Rescue Pro 2.0" harness, which is certified to EN 361 and EN 813. Pre-shaped shoulder and leg pads and high-quality hip padding are ergonomically adjusted to the shape of the human anatomy and thus prevent the creation of pressure points on the wearer's body. Pre-shaped material loops and tool eyelets are fitted as standard on both models. Integrated loops on the "Rescue Pro 2.0" make it possible to attach a seat board without restricting the user's movements while working. This is because the seat board does not need to be attached directly to the front attachment point. SKYLOTEC will present its diverse product range at the Husum Wind fair, at Stand 2C07. If you would like to learn more about these new products and the comprehensive range of training offered by the Vertical Rescue College, you are invited to join us in Husum between 12 and 15 September.